In-depth: Are brand mascots a dying trend? A picture is worth a thousand words. Nobody will be able to better corroborate this statement than companies that have leveraged the power of a brand mascot to build their brands. 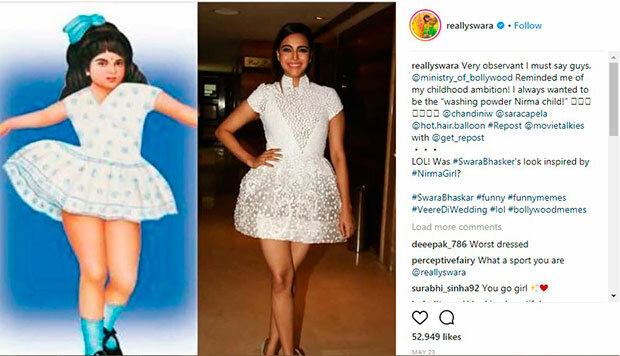 An apt example to highlight the recall value of a good brand mascot would be the recent incident where Swara Bhaskar was compared to the ‘Nirma girl’. Although the comparison was meant to be a jibe at Bhaskar, what the post goes on to prove is that the ‘Nirma girl’ is still alive and kicking in the minds of Indian consumers. Before the brand decided to bring in a dancing Hrithik Roshan to be a part of its campaign, it was the twirling ‘Nirma girl’ who was the face of the brand both in the commercial and on the packaging. Decades later, the ‘Nirma girl’ still sparks an instant connection to the brand but Roshan most likely won’t. Another moppet that shares the ‘Nirmal girl’s’ cult status is the ‘Amul girl’. Conceived in the year 1966 by Sylvester daCunha of daCunha Communications, the ‘Amul girl’ was created as a rival to the ‘Polson Butter girl’. More than half a century since its creation, the ‘Amul girl’ is still as relevant and loved today as she was in 1966. There are examples galore of successful brand mascots but while the history here is rich, not many new brand mascots are making an appearance anymore. So, are brand mascots a dying trend? BestMediaInfo.com spoke to a few marketers, brand experts and advertising veterans to understand why brands now-a-days are not so keen on mascots. “Brand mascots belong to a time when products used to be sold on trademarks. So, you will notice that even in the US there used to be a lot of mascots. It was a time when people used to buy products based on the symbols or pictures they could see on the packaging,” said K V Sridhar, Founder and Chief Creative Officer, Hyper Collective. Another point to consider here is that the literacy rate in India was still not very good and people usually made the choice of buying a product based solely on the packing, and the distinguisher between products at such a time was the brand mascot. “Even if the words on the packaging are in an alien language, one would still recognise the brand mascot as they are not limited by things like script,” explained Sridhar. According to Anil S Nair, CEO and Managing Partner, Law & Kenneth Saatchi & Saatchi, India, mascots were used to build affinity when there was less clutter in the market and brands had time to establish themselves. Creating a brand mascot is a labour-intensive exercise. It takes time and investment to create and nurture a brand mascot. Today, when brands have to face increased clutter and a fragmented audience, marketers can neither afford to spend the time it requires to build a mascot nor can they justify the investment that goes behind the creation of one. “Brand mascots are not built overnight. Building a mascot takes years and years of effort and therefore I think there is a vacuum in the space,” said B K Rao, Deputy Marketing Manager, Parle Products. And while there is no empirical data to prove that mascots might be a dying trend, it is quite likely that fewer brands today are investing in creating brand mascots than before. “Mascots like the brand logo are integral assets and part of the brand identity. While all brands will have brand logos to represent a distinct identity for themselves, less than 5% may consider having a brand mascot as well to further augment their identity and personality in a consumer’s mind. Though there isn’t a well-documented research that supports this observation, it is quite likely there are fewer brand mascots being created today as compared to may be a few decades ago. But it’s relative. 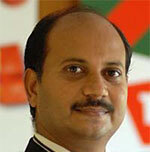 There is more number of brands under creation today than ever before,” said Saurabh Uboweja, CEO, Brands of Desire. Another reason mascots might have worked well before was the fact that advertising mostly meant print to begin with. Even when television came into the picture, marketers still did not have to deal with the problem of a fragmented audience. Today, with the advent of digital, it is very difficult to create communication that is relevant to everyone on every platform. “The fact of the communication industry and business today is that the audience have become fragmented in a big way. To collect the audience and build a seamless message that works across all the channels is a challenge in itself. Expecting the customer to remember the brand, the proposition and the mascot is a bit of a task today,” said Nair. RS Sodhi, Managing Director, Gujarat Co-operative Milk Marketing Federation (GCMMF) also pointed out that brands should invest in mascot only if they are looking at umbrella branding. “If one has too many sub-brands then mascots don’t help you,” said Sodhi. To develop a mascot for each sub-brand is not just time consuming and costly, it would also require the brands to steer clear of each other to avoid confusion. Everybody remembers Air India’s ‘Maharaja’. A much-loved mascot, today the ‘Maharaja’ is obsolete, this despite the brand trying to ‘get with the times’ by replacing the ‘Maharaja’ with a jeans-clad, spikey hair sporting, younger mascot. It is true that when done right, a mascot has a better shelf-life than a brand ambassador and a lot less risk attached to them. “A mascot is yours and a brand ambassador is not. A mascot can do no harm but your brand ambassador is allegedly capable of killing chinkaras, allegedly capable of being bribed, allegedly capable of stocking banned weapons and allegedly capable of misbehaviour with women,” said Harish Bijoor, brand expert and Founder, Harish Bijoor Consults Inc. Brand mascots also lend a human face to an otherwise impersonal brand. When art director Eustace Fernandez and daCunha zeroed in on the ‘Amul girl’ to be the face of Amul, they chose the image of the little girl because they believed a little girl would be better equipped to worm her way into the hearts of Indian mothers and homemakers. “I think a brand mascot can bring the brand alive and lend a unique personality and character to the brand besides serving as a unique identifier. They provide a more human face to an otherwise cold and professional brand. Brand mascots also serve as effective memory devices helping consumers associate better with experiences linked to mascots, sometimes, with memories from several years ago. In that sense, brand mascots are quite useful if created diligently,” said Uboweja. According to Sodhi, mascots don’t just help with breaking the clutter and generating brand love but they are also a lot more economical. “The biggest difference between a mascot and a brand ambassador is that once you have an established mascot, you don’t have to spend a lot on them. The money that you save can be used on media. In fact, in the case of our ‘Amul girl’, celebrities want to be in the same frame as her. It is a matter of privilege for them,” said Sodhi. But are mascots are dying trend? Rao differs and so does Bijoor. Both feel mascots have immense potential and Bijoor believes that they may make a comeback in a big way soon. For Rao, the fact that Parle-G is still known as the ‘Babuwa-wala biscuit’ in the rural areas of India (Babuwa means baby in Hindi), is proof enough. The immense popularity of the ‘Amul girl’ and her brand of topical advertisements on social media platforms like Twitter is testament to the fact even in the age of digital marketing, staying relevant is possible. Consistency, according to Nair, is one of the most ignored aspects of communication and it is also the factor that has helped Amul stay ahead of the curve all these years. “In communication and marketing, the one thing that we have under-valued the most is consistency. Fatigue is first thing on the marketer’s and agency’s mind. There is a desire to change in the minds of brands and agencies, without having a very strong reason to change. Therefore, those who decide to stick with it reap the rewards,” said Nair. Another brand that has managed to stay relevant and adapt according to the changing times is Vodafone. The brand introduced their widely loved mascots ZooZoos during the second season of IPL in the year 2009. Since then, the brand has managed to use ZooZoos judiciously and re-invent them to keep them fresh and relevant. “ZooZoos have been an integral brand asset for Vodafone since they were created in IPL season 2. Over the years, these loveable icons have helped break clutter, deliver key messages and increase brand love for Vodafone. 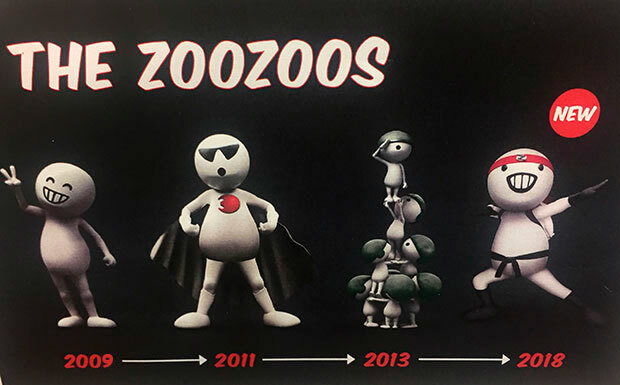 The reason why ZooZoos are still so fresh and so loved by consumers is that we have been careful not to overexpose them, we have been consistent with them and most importantly, we have refreshed them every few years; from Super ZooZoo to Mini-ZooZoos to Ninja ZooZoos recently,” said Siddharth Banerjee, EVP-Marketing, Vodafone India. “In fact, the current campaign on Ninja ZooZoos has successfully re-imagined the ZooZoo franchise, increased our brand consideration scores and been much talked about in the recent cricket season, making us the #1 campaign on social media according to third-party and media reports,” added Banerjee. Tags: In-depth Are brand mascots a dying trend?